George Joseph was the father of Sarah Joseph who was married to AG Joseph, the patriarch of the Joseph family, until her death in 1965. One of AG Joseph and Sarah Joseph's sons - also named George Joseph - wrote an acclaimed biography of his grandfather: "George Joseph: The Life and Times of a Kerala Christian Nationalist". The article below makes reference to this book and also uses some of the information in the book. A barrister, a fiery nationalist, an avant-garde journalist, a pioneer trade unionist and an ardent champion of great public causes, George Joseph (1887-1938) has an immortal place in the history of India's struggle for independence. Several great freedom fighters from the old Madras Presidency like Subramania Siva, Va Ve Su Iyer, Varadarajulu Naidu, Mattapparai Venkatrama Iyer and moderates like G.A. Natesan and Srinivasa Sastri were consigned into planned oblivion by the minions and mercenaries of the Congress Party. It is not, therefore, surprising that George Joseph remains practically unknown among the freedom fighters of South India, despite his being in the forefront of the struggle for freedom along with great leaders like Gandhiji, Motilal Nehru, Rajagopalachari, Vallabhai Patel, Satyamurthy, Jawaharlal Nehru and Mahadev Desai. 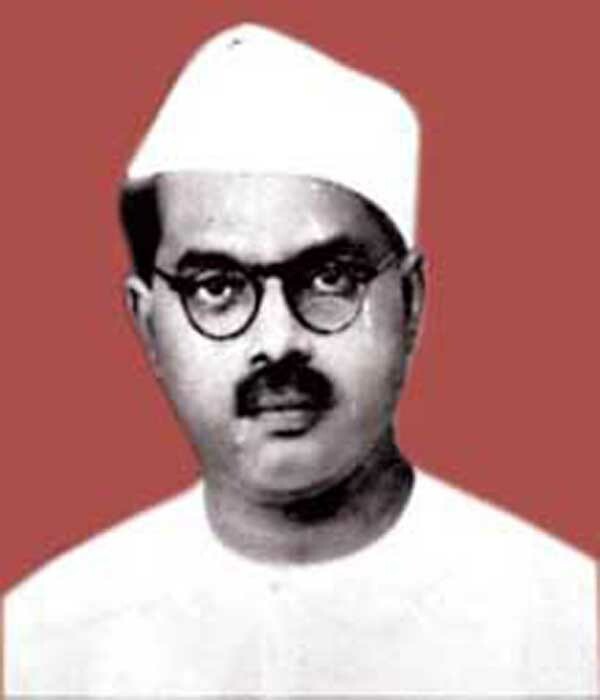 George Joseph played an important, and at times even a defining role, in shaping the policies of various organisations engaged in the freedom struggle from 1915 to 1938. Yet he remains a forgotten figure, a giant without footprints. His disappearance from public memory inspired his grandson George Gheverghese Joseph to write a biography of his grandfather, under the title 'George Joseph: The Life and Times of a Kerala Christian Nationalist' in 2003. John G Arapura has in his foreword has written: 'This is a work of true distinction. George Joseph, a Kerala Christian, was a stalwart fighter for India's freedom. He had a recognisable profile in his day as, among other things, a close associate of Mahatma Gandhi, Pandit Motilal Nehru, Pandit Jawaharlal Nehru, C Rajagopalachari, Vallabhai Patel and others of the high pantheon of national leadership, having undergone himself stints in prison. He once even shared prison facilities with Jawaharlal Nehru, with whom he forged a good intellectual friendship that involved ideological debates as well, inasmuch as they were men of equal mental stature. George Joseph was an Edinburgh-educated, London- trained barrister, with a professional base in Madurai. He was a noted journalist, in fact one of the early 20th century pioneers, once even acting as Editor of Mahatma Gandhi's own Young India. Significantly enough he was a Christian from Kerala, and as such, being a freedom fighter was especially notable in his day. However, having died at a young age, public memory of him faded and his legacy slid into oblivion.. I have just read this beautiful biography. In my view, it is impossible for any biographer. In this case it is made more difficult by the fact that the author George Gheverghese Joseph happens to be the grandson of George Joseph as a narrator to have an Olympian detachment. In human life the objective fact is that there is no such thing as objective vision. Anyone who reads this biography will concede that it is very fair and objective and the author has taken a true historian's impersonal view of the involvement of George Joseph in the freedom struggle. He has researched extensively and referred to the available documents and placed the life history in perspective. It is an important contribution to the history and historiography of the freedom struggle. I would like to pay my tribute to the author in the timeless words of Goethe: 'The whole work has the character of lawfulness, the perfection of harmonious proportion, the summit of beauty, the dignity and height of passion'. George Joseph's younger brother was Pothan Joseph, a distinguished journalist in the first half of the 20th century. In his 60-year career, Pothan Joseph edited 23 newspapers and many of them were cradled by him from infancy. As a fearless journalist, Pothan Joseph was widely admired for his qualities of courage, fidelity and vigilance. George Joseph was born in Chengannur, the former Princely State of Travancore, now part of Kerala on June 5, 1887, the year of Golden Jubilee of the accession of Queen Victoria. After completing his school education in Kerala, he went to the Madras Christian College in 1903. Even before he could complete his FA, his father sent him to England for higher studies. He took MA in Philosophy at the University of Edinburgh and then went on to study Law, qualifying himself as a Barrister from the Middle Temple in London in 1908. During his stay in London he came into contact with several great Indian revolutionaries and freedom fighters of the day like Madam Cama, S K Verma, S R Rana and Vir Savarkar. It is unfortunate that there is hardly any information available on the close association between George Joseph and Vir Savarkar in England. George Joseph left London in December 1908 and arrived in India in January 1909. He married Susannah, daughter of a Sub- Registrar, who was a fiercely loyal subject of the British Raj. Susannah was a remarkable woman and proved herself to be a tower of strength to George Joseph. She combined in herself the divine traits of gentleness and strength in the right proportion, gentle in her strength and strong in her gentleness. George Joseph and Susannah went to Madras in 1910. During his short stay in Madras, George Joseph started contributing to the South Indian Mail, owned and edited by P George from Kerala. George Joseph's boyhood friend Gopala Menon, the older brother of the future diplomat K P S Menon, I C S who had already established himself as a criminal lawyer in Madurai invited George Joseph to Madurai, where he started his legal practice in 1910. Within a few years, George Joseph established himself as a leading criminal lawyer in Madurai and became quite affluent with a large house, a retinue of servants, a horse and carriage, etc. A promising legal career with the prospects of high judicial office in the future was cut short by his passionate involvement in public affairs. Right from the beginning of his practice , he espoused the cause of the so-called criminal tribes of Madurai like Paramalai Kallars, Maravars, etc. He played a leading part in setting up one of the early trade unions in India in Madurai. J.N. Ramanathan and George Joseph set up the first union in Madurai called the Madura Labour Union in 1918. This was just within one year after the great October Russian Revolution in 1917! As an ardent crusader for national liberty, George Joseph was very fond of quoting Herbert Hoover's words: 'The spark of liberty in the mind and spirit of man cannot be long extinguished; it will break into flames that will destroy every coercion which seems to limit it'. It did so after 1917 not only for George Joseph but also for India as a whole. The above represents substantial excerpts from an article and book review by V Sundaram in News Today; we appreciate its use.